Picture from the park | Separated by a common language. aww, pugs always look so quizzical! What a fabulous photo! 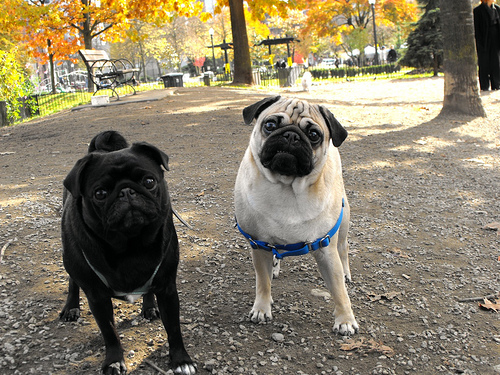 The pugs, the fall colors! Love it!